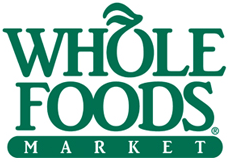 When world-leading natural and organic food grocer Whole Foods Market decided to establish a presence in the heart of Silicon Valley, it turned to Cupertino Electric to build its 77,000-square-foot store in Cupertino, California on a fast-track schedule. With a 30 kV photovoltaic system and unique lighting to maximize the retail offerings, the store also featured fire alarm and security systems that were coordinated and installed by Cupertino Electric. The project was completed in a few months and the store opened for business in the summer of 2007.